My grandparents, Thomas Catley Newall and Annie Beech, were married at Lower Peover, Cheshire on 18th September 1901. 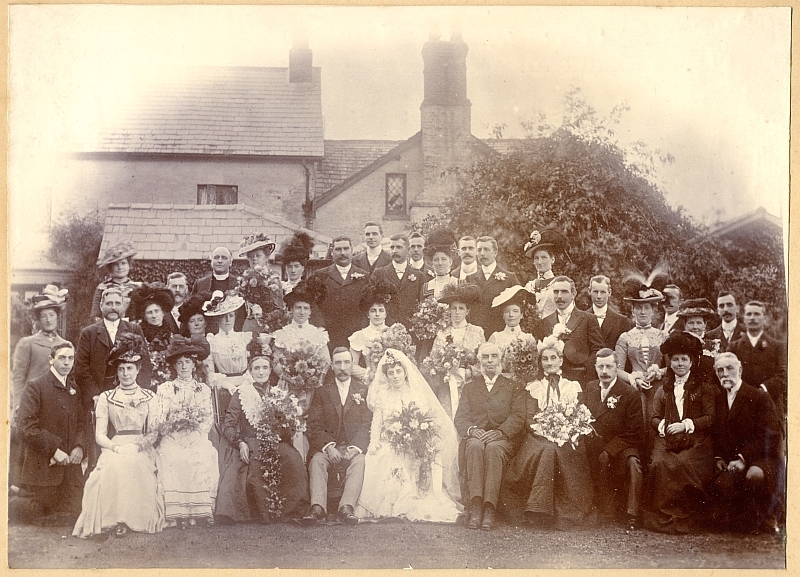 The photograph below was taken in the garden of the bride's parents at Tabley Villa Farm. I have still only have positive identification for about a dozen people in this photograph, information about those so far unidentified would be very welcome. This document and photograph are © Chris Newall 2016 and are freely available to fellow researchers. They are not for sale or general publication.